From the 1890s through the 1920s, the postcard was an extraordinarily popular means of communication, and many of the postcards produced during this "golden age" can today be considered works of art. Postcard photographers traveled the length and breadth of the nation snapping photographs of busy street scenes, documenting local landmarks, and assembling crowds of local children only too happy to pose for a picture. These images, printed as postcards and sold in general stores across the country, survive as telling reminders of an important era in America's history. 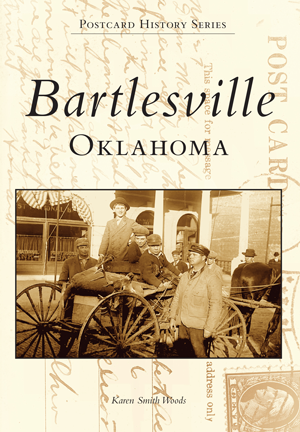 This fascinating new history of Bartlesville, Oklahoma, showcases more than two hundred of the best vintage postcards available. Collected and interpreted by Karen Smith Woods, the images in this informative volume provide readers with a delightful trip down memory lane, bringing an important period of the area's history to life for visitors and members of the younger generation.